Hi, i just want to introdeuce another search engine. STLFinder, is basically a search engine for 3d models. It has more than 2 millions 3d models indexed from more than 25 repositories. It has many useful features for searching models through filter options. It has a collections section where each user can create its own set of 3d models and group them by some criteria. You can even share it with the community. Also, it keeps track of the models visited and show you an Historial of the 3d models visited once you need to see it again. 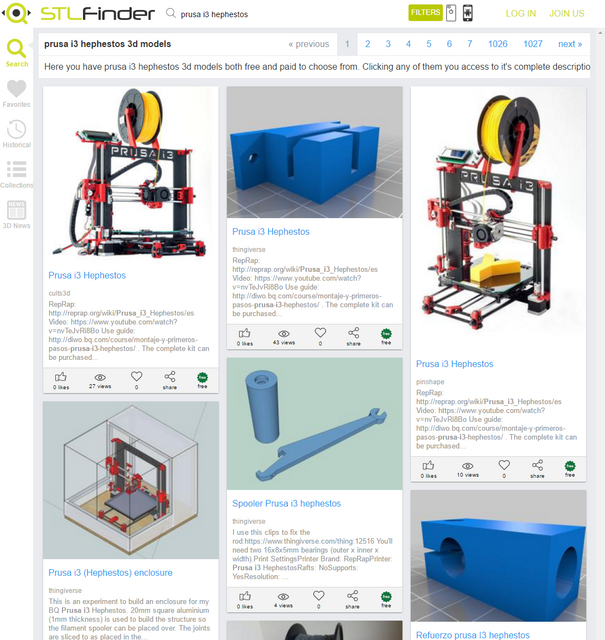 The main purpose of the search engine is to be a handy tool for those whose are looking for 3d models for 3d printing, 3d games, virtual reality, augmented reality and 3d design.